Your feet deserve comfort AND style. Hi-Tec delivers on this and then some with their Feel Good Guarantee – complete satisfaction or your money back. 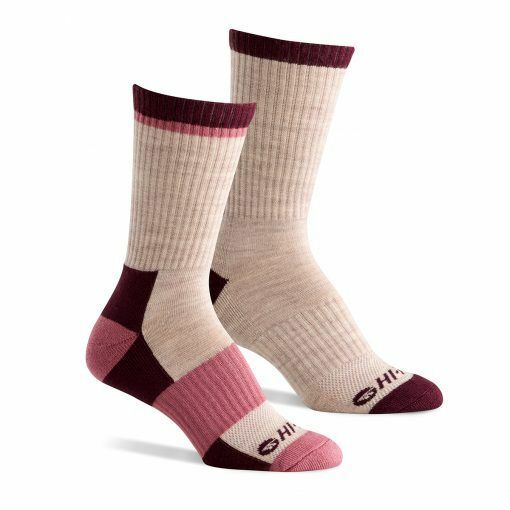 They have a vast collection of socks from every type of outdoor sock to a number of urban/lifestyle socks. All are made with premium materials, with a deep heel pocket for a great fit, and arch compression for support and fit. Particularly of interest to trekking TrailblazerGirls, are their Performance Hiking socks which come in crew and quarter heights and have extra cushioning around the toe and heel area for important shock absorbing comfort, along with a fun, inspirational message inside some. When you’re done for the day, cozy up in their Comfort Lodge style with a soft, fuzzy interior and non-skid grippers for padding around the cabin. Hi-Tec has an array of socks to meet all your needs as you journey through the mountains, fields, slopes, streets, or at home.